There is some relief for Shaji as the Kerala HC has ordered a two week stay on its order setting aside the election. The Kerala High Court has ordered a two week stay on its decision to set aside the election of Muslim League's KM Shaji as the Legislative Assembly member from Azhikode in Kerala over communally coloured remarks during his 2016 campaign. According to reports, the two week stay was approved by Justice PD Rajan, the same judge who gave the disqualification verdict, after Shaji had approached the court for the stay. KM Shaji’s election was set aside by the Kerala HC on the basis of a petition filed by MV Nikesh Kumar, CPI(M) candidate and journalist who had contested and lost from the Azhikode constituency in the 2016 elections. According to Nikesh’s petition, KM Shaji had allegedly appealed to all Muslims to vote for him as he was a practising Muslim and a follower. 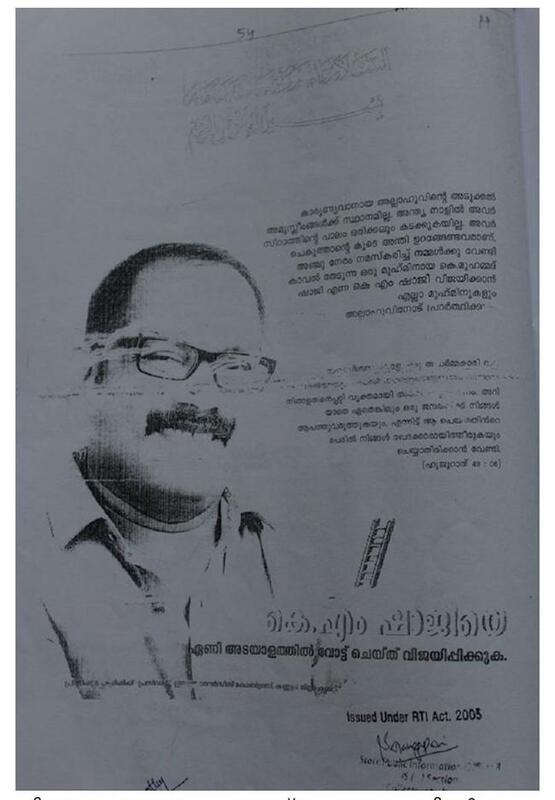 Nikesh had also argued that Shaji had distributed a pamphlet which requested all Muslims to vote for him and which also allegedly stated that all non/ Muslims will never find the path the heaven. “Non-Muslims have no place in the kind allah’s abode. In their final days, they will never cross the path to heaven. They are to sleep with the devil. All Muslims, please pray to Allah for the victory of he who prays 5 times a day for our safety - K Mohammad Shaji or KM Shaji. Please vote for KM Shaji and lead him to victory," the pamphlet produced before the court said. The court has also directed the IUML leader to pay Rs 50,000 as compensation fee to the petitioner, MV Nikesh Kumar, within a week. The case will be opened for consideration on Tuesday, according to reports. The stay was granted based on KM Shaji’s appeal that his constituency would be deprived of an elected member till the Supreme Court gave it's decision over an appeal that he planned to file. Nikesh Kumar had contested from the very seat his father and CMP leader MV Raghavan had won when the CPI(M) party had expelled him in 1986. He lost the seat by a margin of around 2000 votes to KM Shaji.